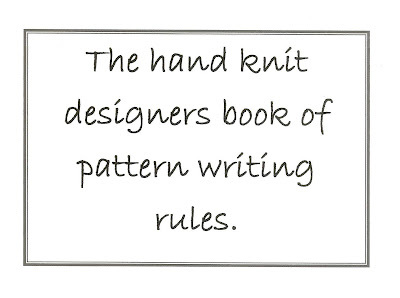 How to become a Professional Knitter - Robin Hunter Designs: What are your Pattern Pet Peeves? I've been following and commenting in this thread in Ravelry. I find these discussions very educational. It's a way of getting into the pattern buyers mind. I do notice often the comments are diametrically opposed. Last month at my guild meeting Michelle Porter did a presentation. She designs for a yarn company as well as her own line. You can read my earlier interview with her here. She spoke about the criteria of designing for yarn companies. The patterns are limited to three pages. There are no stitch charts because they take up space. Everything is based on pattern stitches that can be memorized. The silhouettes are very simple and shaping is often minimal. The pattern is meant to sell yarn so she focuses on that. 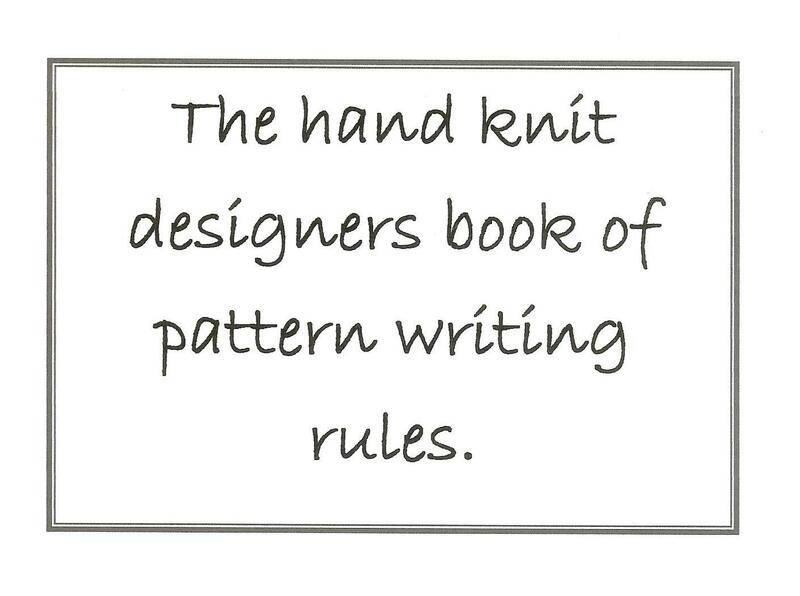 My goals with my self published patterns are very different. I'm selling the pattern so I often use both charts and text. I write out the reversed shapings. I put stitch counts after every increase and decrease section. I do six sizes and worry that is not enough. I struggle to determine what the most common abbreviations and chart symbols are. My stats show my patterns sell all over the world so I'm fighting a losing battle on that issue. I check and recheck that every abbreviation in the pattern is referenced in the pattern. I describe techniques that some knitters find novel and other say are the basics of knitting. I often incorporate constructive criticism that I get from sample knitters and tech editors. Unfortunately they often make completely opposite recommendations! It seems that the goals of patterns can be very different. I wonder if pattern buyers would be happier with their purchases if they considered the goal of the seller when choosing patterns? What do you think? Labels: What are your pattern pet peeves? interesting insight into what a professional designer working for a yarn company is working towards; i've often noticed that yarn-company-sponsored patterns seem to go for yardage-heavy motifs (e.g., bobbles, nupps, colourwork that requires 15 balls for a pair of mittens). i do, however, like the brevity of commercial patterns. i find the same problem with moderns recipes; they spend far too much time re-explaining the obvious for beginners. i'd rather the beginner just got a proper book with all the beginner explanations, so the rest of us don't have to be told yet again what "ssk" means.